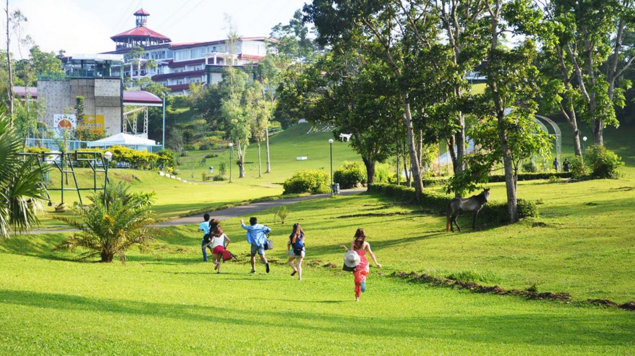 Learn how Caliraya's strategy as wholesome, Christian resort for good clean fun works. INSPIRING. Caliraya Resort Club has a Christian-based business strategy. Caliraya Resort in Laguna envisions itself to be the most inspiring and exciting resort that helps bring people closer to God and to one another. President Sarah Roxas-Wage shares her insights on its Christian-based business strategy. Q: You used to have a "trinity" policy of “no smoking, no drinking, and a compulsory Bible study” in your Laguna resort. What was the insight behind this unique policy? What made you soften on it? We wanted a haven for people looking for a "safe"’ place to have wholesome fun and to reconnect with Jesus; a place that is far away from the buzz and busyness of everyday life. A lot of our infrastructure were built around this purpose, namely spiritual rejuvenation (The House of Prayer, Pool that can be used for Baptism, Valley Theater, etc.) and physical recreation (Sky Bicycle, Wave Pool, Slide & Fly, Super Slide, Mud Slide, Zipline, Free Fall, Earth Ball, Zorb Ball, Basketball, Swimming Pool, Wall Climbing, etc.) in a lush green scenery of lake and mountain resort. During the late 90s, Caliraya Resort Club started gaining popularity not only among the religious groups, but among families and corporations as well. Our niche positioning of spiritual, physical recreation in a wholesome lush environment attracted more than we can imagine. The high demand drove us to eventually soften the policy by setting up smoking areas in the resort, offering minimal drinks, and offering Bible study as non-compulsory. Q: What are challenges running this resort? Q: Who is your primary target market? Where do you find your prospects? A: While our primary target market are corporate accounts, we also serve schools, churches, government accounts, families, and barkadas (youth). Given we are blessed with a strong brand awareness as a resort, most of the inquiries find us instead of us finding them. This is due to our strong awareness campaigns driven by our distribution of millions of fans in high traffic areas, online presence, and bus ads along key thoroughfares. We also have above-the-line advertising through TV. OFFERING 'CLEAN' ADVENTURE. 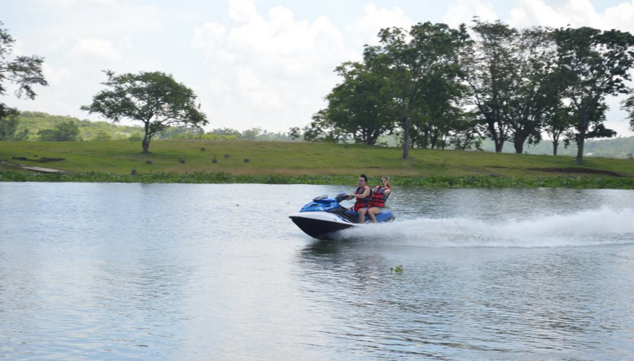 Apart from offering basic leisure amenities, the resort also facilitates adventure and extreme sports. Q: What's the brand DNA of Caliraya Resort? If he or she is your best friend, describe Caliraya Resort? A: If Caliraya is my best friend, she is a “fun, fun, fun” companion, always looking for a way to delight you, surprise you, and excite you! She is into wholesome and Christian, good clean fun! Q: What's your capacity per day? How many bedrooms do you have? A: Capacity per day is around 1,000 persons who can stay overnight and 1,500 persons for day tour. Number of bedrooms is around 150. Q: What's your employee profile like? Are they required to be devout Christians? A: They are fun-loving, service-oriented people who aim to delight each and every customer with a smile. They are not required to be devout Christians but are welcome to attend our weekly Bible studies especially scheduled for them. Q: Other than being wholesome, what do you have? What is your uniqueness as a resort? A: Aside from wholesome fun, we also have adventure and extreme sports.